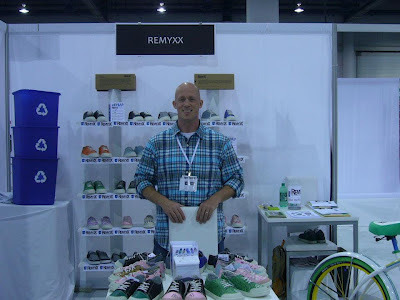 I recently interviewed Gary Gagnon, the founder of Remyxx Recycled Sneakers. Gary's company was featured on the season three finale of Shark Tank. He got a deal on the show with Daymond John, but it didn't go through. You can read the full interview on The Shark Tank Blog. Gary and I discussed his Kickstarter campaign, the future of his business, and a whole bunch of Shark Tank related stuff. "HELL NO! Ketchup does NOT belong on a hot dog!" I should have expected no less from a New Jersey native.